Fathers may already find themselves scrambling to keep up with the latest study that may affect their children’s health. 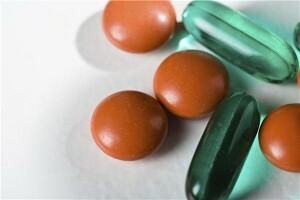 Now, new research published in the Archives of Pediatric & Adolescent Medicine suggests that the majority of kids taking vitamin and mineral supplements do not actually need them. As confusing as it may seem to the average parent, the scientists say that children who take vitamins also tend to be the ones who are receiving adequate nutrition already. Meanwhile, youngsters who are deficient in nutrients are less likely to be taking supplements, perhaps because they are too expensive. "The study findings seem to bear out the hypothesis that cost is a barrier to children getting vitamins," the researchers write. Scientists at UC Davis School of Medicine examined the eating and lifestyle habits of more than 10,000 children between the ages of 2 and 17. They also compared a number of demographic factors, including health insurance coverage. Parenting advice from the American Academy of Pediatrics states children who consume a balanced diet based on the food pyramid should not require vitamin supplements.